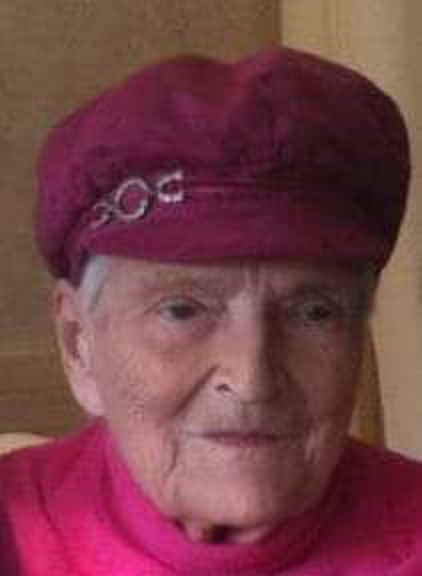 Claudia H. Millhouse, 97, of Frederick, MD, passed away peacefully at her home on April 5, 2019, surrounded by family. She was born September 22, 1921 in Lewisburg, TN, and was the daughter of the late Benjamin and Ida (Maupin) Hilliard. She was preceded in death by her husband William Millhouse in 1967. She worked at MJ Grove Lime Co., Ausherman Homes, Peter Pan Restaurant, DanDee Restaurant, Days Inn and Maryland Paper, when she finally retired at age 87. Her passions were her family, sewing, cooking, needlework, storytelling, gardening, the beach, entertaining and square dancing. She and her husband, Bill (Who was a square dance caller) introduced many people to square dancing in Frederick and Hagerstown. She is survived by her daughters, Faith Andrews (Jim), and Tracy Millhouse (Bobby Flurie), grandchildren, Jeff Boyd (Wendy), Michael Boyd (Shannon), and Carrie Black (Justin), great-grandchildren, Connor Boyd, Tyler Boyd, and Spencer Black, special friend, Laurie Trammel and several nieces and nephews. As per her wishes, there will be no service and inurnment will be private. In lieu of flowers, donation may be made in memory of Claudia Millhouse to St. Jude’s Children’s Research Hospital, www.stjude.org. Arrangements were made by J.L. Davis Funeral Home, Smithsburg, MD, and online condolences may be offered at, www.jldavisfh.com.